The new Miniplane PSF Rigid Cage Paramotor. 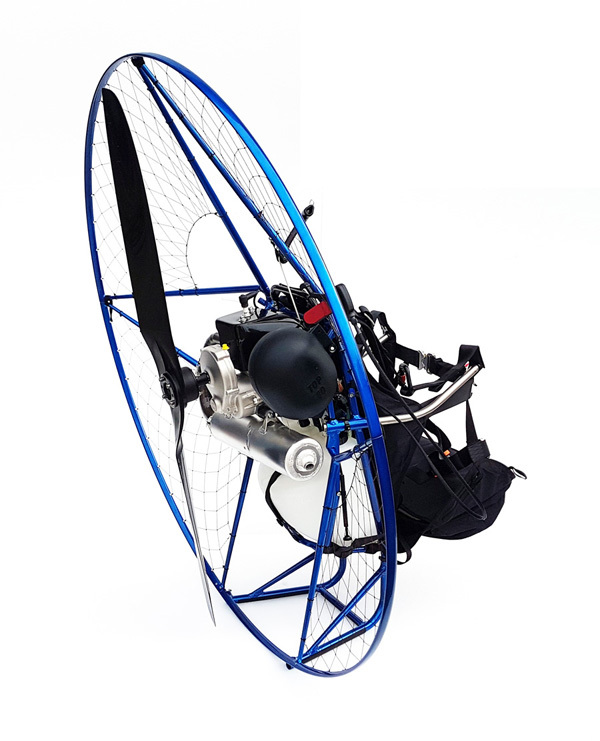 Following many customer requests, we now offer the 4 part Rigid Cage also for the L size Miniplane PSF High-Hangpoint Paramotor. 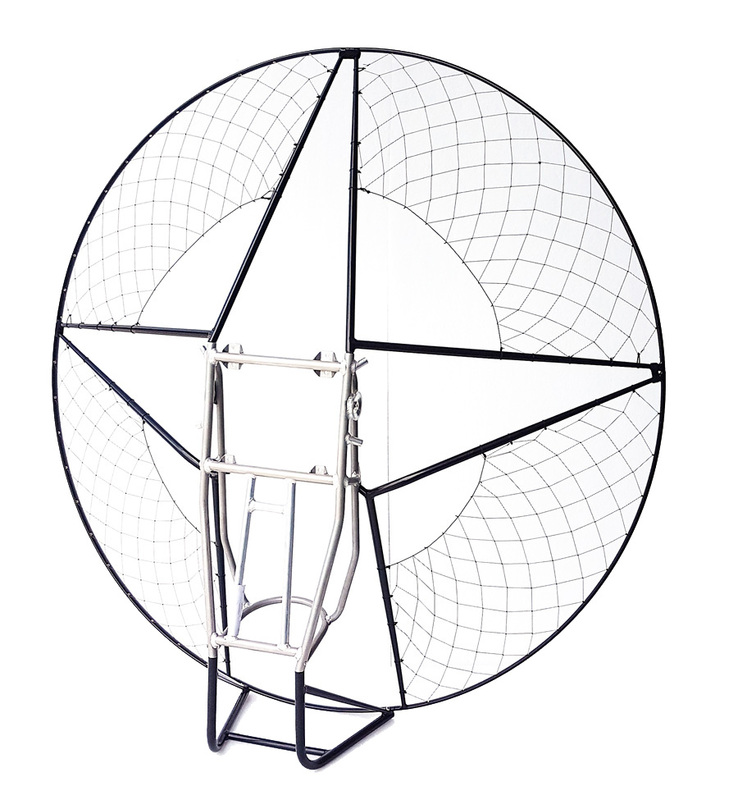 With this machine, it is possible to mount a 125cm prop, but we suggest the 130. A bigger prop turning more slowly offers good thrust with lower noise. In general, every aspect of performance is improved. There is better efficiency of the propeller (higher aspect ratio), so more thrust is obtained with less energy consumption. 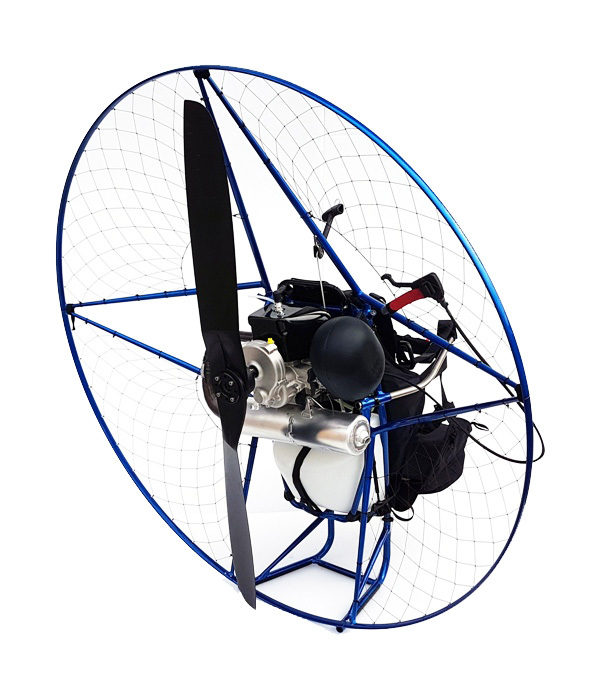 A larger propeller needs adequate protection that is not offered by Miniplane's flexible cage. The solution for propeller protection is our new cage built with a high strength aluminum drop-shaped aerofoil profile. The new reduction ratios make the propeller turn more slowly, only 2200 RPM (17/75 Gearbox) at maximum throttle. Thanks to this increased efficiency, during horizontal flight the noise is greatly reduced making the flight more relaxing for the pilot with less noise disturbance for those who are watching from the ground. 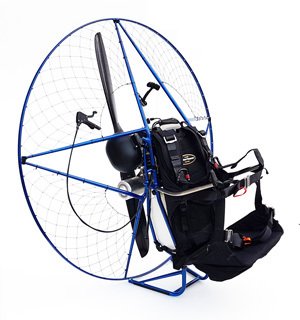 The new lightweight composite Helix prop becomes a necessary and excellent choice for this paramotor, because it is impossible to achieve the same performance with a large wooden propeller. A further advantage is that the profile used for this carbon fiber propeller keeps performance high even as air density decreases. In practice, it maintains thrust as the height increases.